NEW DELHI -- A doctor says Bollywood's veteran actor Pran has died of pneumonia his doctor said. He was 93. Pran acted in more than 350 Hindi movies in a career spanning over six decades and played a vast range of roles _ a hero, villain and character actor. Sanjeev Mehta, his doctor, said Pran Krishan Sikand, popularly known as Pran, was hospitalized more than two weeks ago in a Mumbai hospital and died Friday. 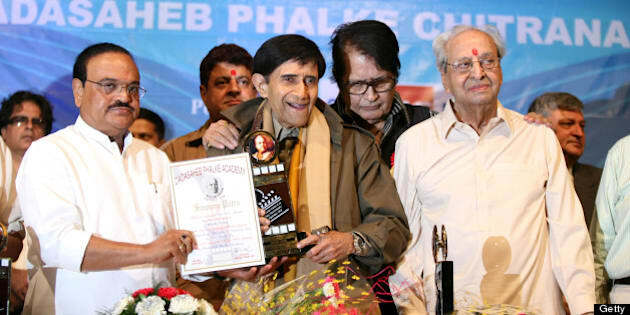 He was presented the Dadasaheb Phalke Award, the Indian government's highest honour for cinema, in May at his Mumbai home. Pran was best known for his roles as a villain from 1942 to 1991 in movies such as "Zanjeer'' (Shackles), "Bari Behen'' (Elder Sister), Azaad (A Free Man) and "Johnny Mera Naam'' (Johnny Is My Name).